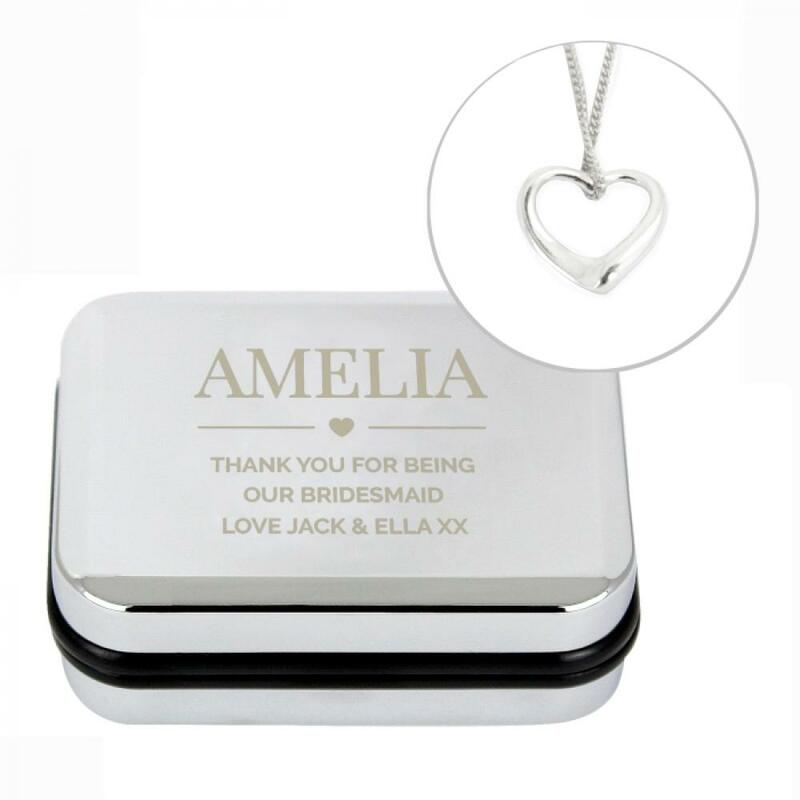 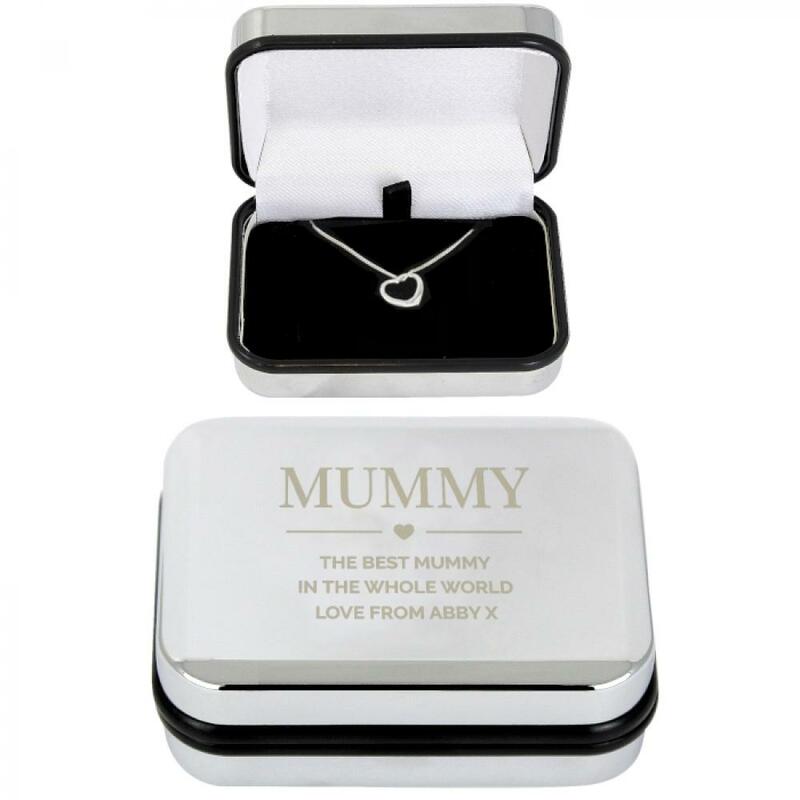 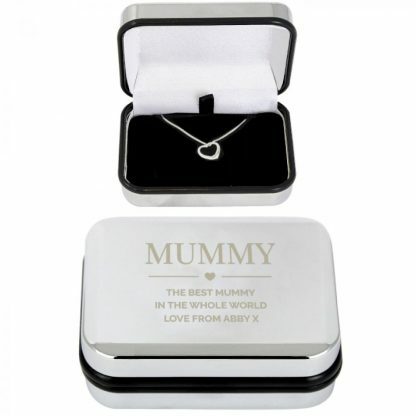 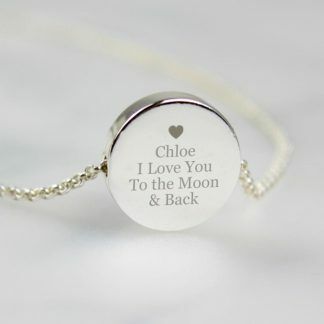 Our beautiful Personalised Box and Heart Necklace is a wonderful gift for that special someone. 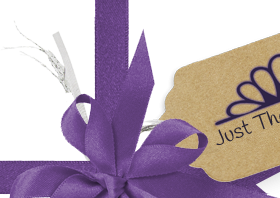 You can personalise the box with a name and a message over 3 lines. 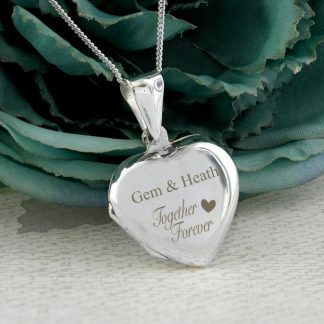 The necklace chain is 16 inches. 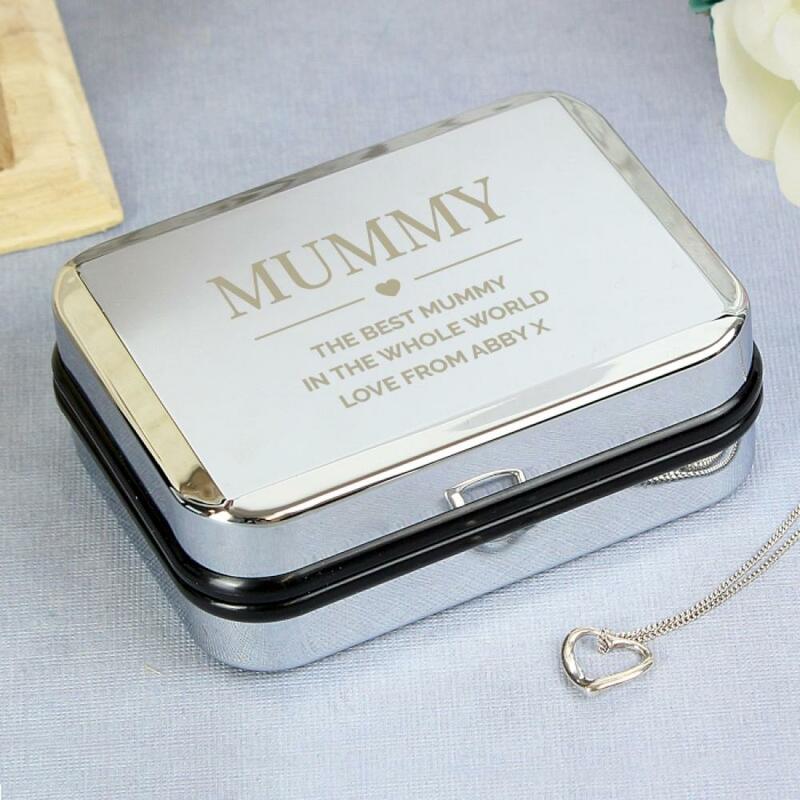 Comes in a chrome gift box.